In less than a month I will be presenting my talk at TEDx Umeå, the TEDx event in Umeå, Sweden, on 11 May 2016. [Note added later: you can find the final talk here]. I started preparing for this some time ago (see ‘Countdown to TEDx Umeå, part one‘). Now it’s nearly here! From my previous ruminations, we concluded that I had to do the opposite of what I normally do. What I normally do is to spend ages carefully preparing a set of slides or a Prezi presentation, and then a talk occurs when I click through the slides and talk about them, sometimes generating spontaneous examples or jokes along the way. This seems to work. But I won’t be doing this for the TEDx. Oh no. That would be too easy. And not really a TED talk. For the TEDx talk, I will have written the whole 18 minutes very precisely in advance, and then learned it and practised it, a lot. There are no previous indications that this is a good plan for me, but that’s what I’m doing because for a TED talk it’s what you’ve gotta do. There won’t even be any slides! People do great TED talks without any slides, so, I’m going slideless too. The news is, they asked me to film a 30-second video introducing the talk. 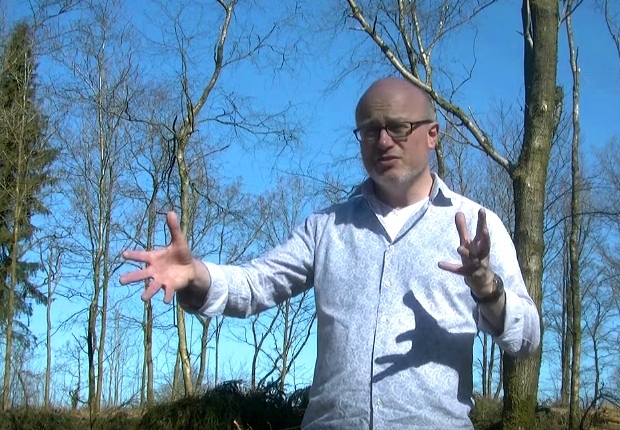 So, with a worrying disregard for timekeeping, I recorded a 60-second video, in a Danish forest. Here it is.